As part of a five-model display. Bentley has come to Shanghai all guns blazing with the stunning EXP 12 Speed 6e concept forming the focal point of the luxury brand’s five-model display. 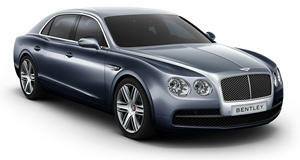 Mulliner is showcasing two models at the Chinese expo. The Bentayga Mulliner – the new ultra-lux SUV flagship - makes its Asian debut as a one-off featuring a unique body color of Alpine Green over Pale Emerald. Mulliner has somehow made the cabin even more luxurious, with different hand-stitched hide colors for the front and rear seats complete with unique embroidery and contrast stitching. 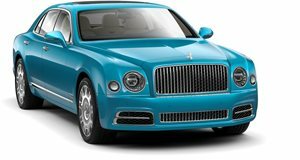 The Mulsanne Hallmark Series by Mulliner also makes its premiere in China. The limited edition model is inspired by precious metals and luxury metals. Available across the Mulsanne range, the fifty-model series will come in Silver and Gold versions, with the gold-themed model on display featuring a series of ornate detailing including a gold-plated ‘Flying B’ mascot. 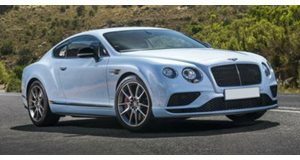 Specifically commissioned for China and making its global debut is the one-off special-edition Continental GT Speed Black Edition, it’s unique status underlined with a ‘One of One’ inscription. Completing the lineup is the Flying Spur W12 S. The flagship of the four-door Bentley capable of a 200 mph top speed makes its Asian debut.